As the new president of Waseda University, my biggest task is to transform Waseda into a leading university that shines on world stage. 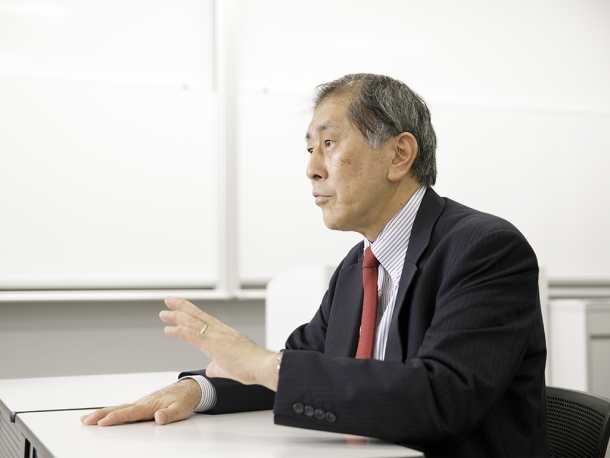 To fulfill that, we need to bring the carefully crafted Waseda Vision 150 by former President Kamata into its next phrase, the realization and materialization phrase. 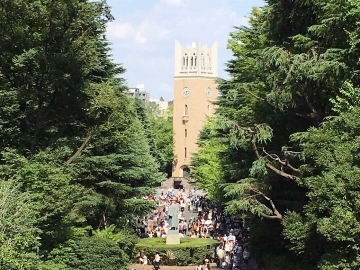 Nevertheless, as the current Waseda Vision 150 covers a broad range of comprehensive goals across various fields, there is a need to prioritize our goals to effectively achieve what we set for. Specifically, the order of priority would be 1) research, 2) education and 3) social contribution. 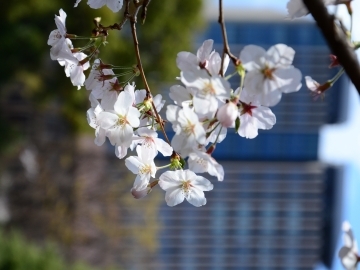 In order to further raise Waseda’s research and education qualities, it is essential for us to recruit exceptional researchers and personnel to Waseda University. As such, we would be actively inviting young and brilliant researchers to join our research and teaching teams. As fostering and developing young researchers is also an important duty of educators, we will aim to train and cultivate researchers that would surpass ourselves. In fact, I have always told my master’s and PhD students to aim high and surpass me. On school curriculum, it is critical to systematize and organize classes while ensuring that there is no overlapping of content across classes for more effective learning. Doing so would not only benefit the students, but also cut down on the workload of our teaching teams. Waseda’s Hirayama Ikuo Volunteer Center, commonly known as “WAVOC,” has more than 9000 registered students at present. The number says a lot about itself, suggesting that our students see the importance of volunteering and social contribution. It is definitely crucial to reach out to even more students to expand their competency and capacity as individuals. 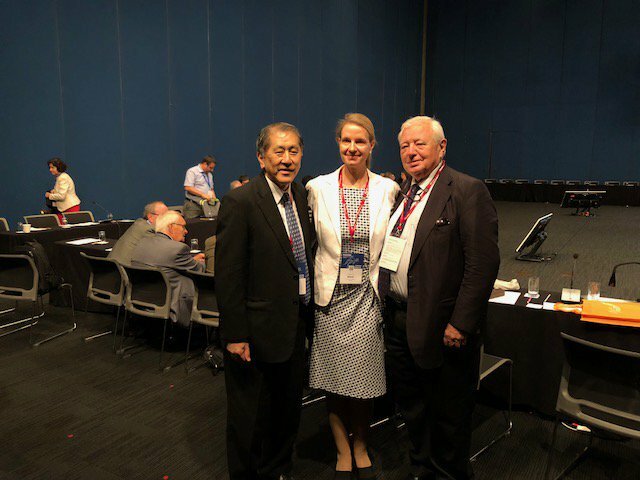 In addition, as Waseda further advances its research, education and social contribution, there is also a need to promote them both domestically and internationally. While English is definitely a language we want to use in disseminating information about the University’s progress and achievements in these areas, it is also vital to do the same in other languages, such as Chinese, to better reach out to and secure exceptional researchers and students. In terms of budgeting, we would also be looking beyond Japan into international donations and funding. 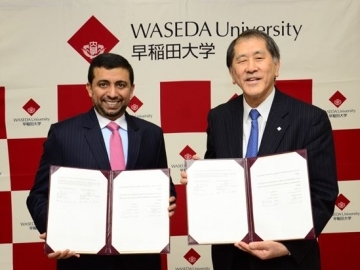 As we work towards realizing Waseda Vision 150, we have to bear in mind that faculty, staff and the Waseda community have to be determined to want to realize and share the vision for a Waseda that shines on world stage. Accordingly to professors at Harvard University, researchers and educators at Harvard often work in their own directions and seldom show interests in what the president of Harvard has to say about his or her vision for the university. Nonetheless, there is one single common goal among them and that is to recruit the best researchers and most exceptional students from around the world. Harvard became a representative of the world in research and education because the Harvard community continues to share this one common goal. The American universities had not always been leading the world in research and higher education. In the 1930s, the so-called top universities in the U.S were determined to catch up with its European counterparts that dominated the world of research and tertiary education. In order to raise its research and higher education standards, American universities explored many methods such as adopting school syllabus, tenure track system in recruiting young researchers and class evaluation by students, all of which were introduced into many Japanese universities in the present day. After four decades of hard work and efforts, American universities finally drew level with the European universities in the 1970s. For Waseda University to become a world leading university, determination and continuous efforts need to be put in by the Waseda community. As the president of Waseda University, I will lay out the directions for the future of Waseda but I want to reach out to everyone to give me their fullest support and cooperation, essential to realize the vision set forth by the university. As we set our goal to become a world leading university, students would also need to develop qualities of resilience and sensitivity. Many times when a student sits for an entrance exam, a set of model answers are usually prepared beforehand for marking purposes. However, in everyday life, we do not necessary hold all the answers and solutions to real life problems. Hence, students need to learn to be resilient when looking for possible solutions to these challenges. They would need to be able to think through and examine problems and solutions, often a repetitive process, until they finally find solutions to a problem they think would work. I hope students would be able to develop such attitude towards the challenges they would face in life. When I say I want students to develop a sense of sensitivity, I mean it in the context of diversity. 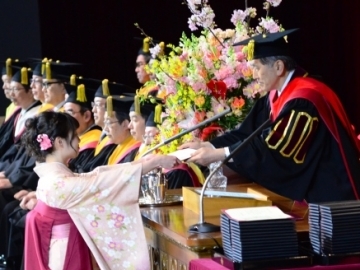 Waseda University treats everyone equally regardless of gender, nationality, religion, etc. As students learn from and interact with faculty and staff of different backgrounds, I hope they would give thought to the meaning of diversity and accept it as a value they believe in. At Waseda University, more and more classes are offered in English but if international students were to only learn in English, it defeats the purpose of coming all the way to Japan and study at Waseda. Students should aim to excel both in English and Japanese, interact with both local and international students as they spend their time studying at Waseda. Only then, can Waseda achieve true internationalization. I also encourage all students, particularly local Japanese students, to step out of their comfort zone and go overseas for at least once while they are still a student to find out how Japan is being perceived by people from overseas. Even if they decide to work in Japan after graduation, they would still need to have an international worldview to add values to the future organizations they would be working for in this information-driven society. 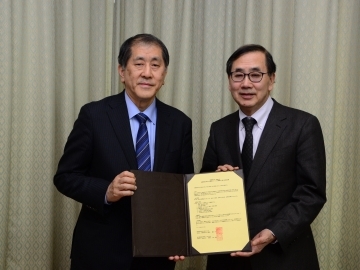 Many students at Waseda have expressed wishes to acquire skills and knowledge they would need to contribute to society. We assure them that we would continue to improve and enhance the learning environments of Waseda to help these students achieve them. President Tanaka completed his undergraduate studies at the School of Political Science and Economics at Waseda University in 1975. He later moved to the U.S to do his graduate studies and attained his Ph.D at the Ohio State University in 1985. 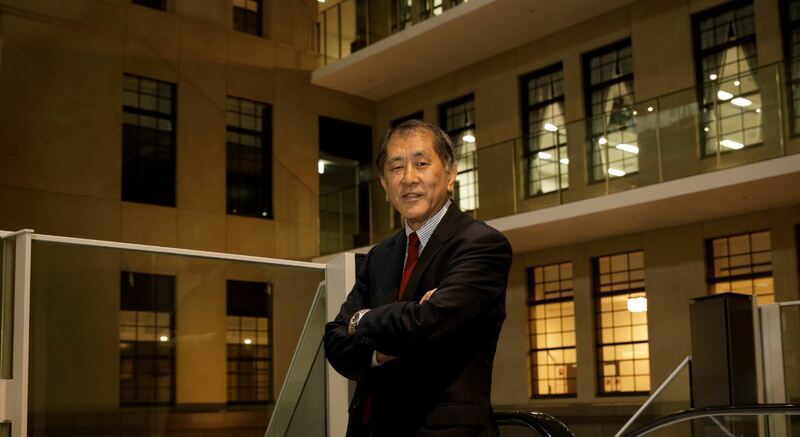 Before becoming a professor at Waseda University, President Tanaka had taught in other Japanese universities such as Aoyama Gakuin University and Toyo Eiwa University. 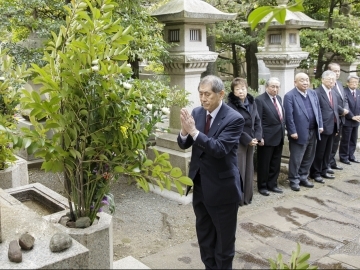 Besides being a professor, President Tanaka also held various positions such as chairman of the International Political Science Association. *This is a translated article of which the original article is written in Japanese. In case of discrepancy, the Japanese version shall prevail.